What is paprika? About the ingredient paprika. Including 1,857 recipes with paprika, nutrition data, and where to find it. Paprika is a spice made from the grinding of dried fruits of Capsicum annuum (e.g., bell peppers or chili peppers). 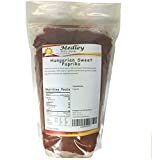 Capsicum peppers used for paprika are unusually rich in vitamin C. Much of the vitamin C content is retained in paprika, which contains more vitamin C than lemon juice by weight. 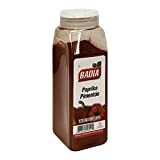 (2 PACK SET)- 1 Bottle SWEET AND 1 Bottle HOT Smoked Spanish Paprika Smoked dried over holm oak for a minimum of 14 days, following a century old local recipe Imported from the Famous La Vera Region of Spain Made in small batches for optimum aroma, color and flavor 2 Pack / 4oz Total Wt. More detail Order now to save $3.59! More detail Order now to save $1.07! Paprika is usually found in the spices section or aisle of the grocery store or supermarket. 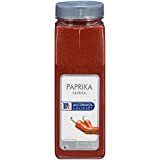 Paprika is a member of the Spices and Herbs USDA nutritional food group. How much does paprika weigh? There are 1880 recipes that contain this ingredient.